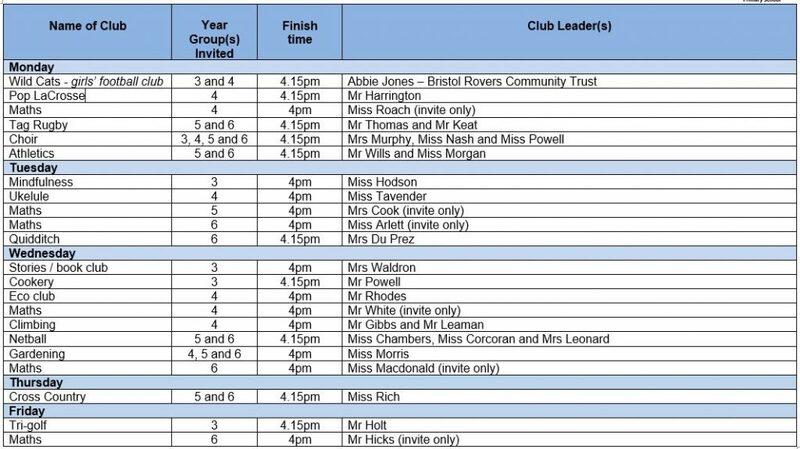 An extremely wide range of extra-curricular clubs take place. Over 75% of our pupils choose to stay on at school to join in. Over recent years these have included football, netball, rugby, drama, smoothie, construction, games, storybook, cookery, yoga, choir, athletics, environment, art, maths, journalism, golf, gardening, gymnastics, street dance, Sports Heroes, kidiators and even homework club.